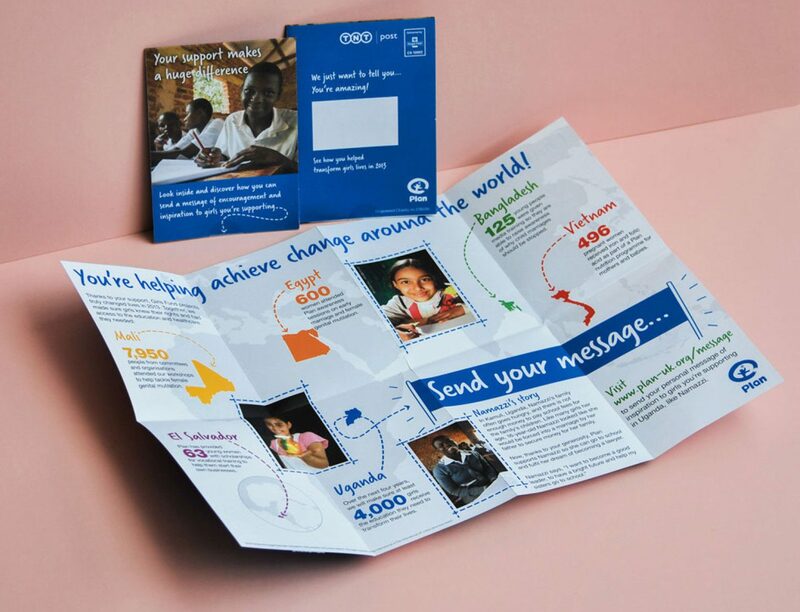 Plan UK approached us to work on a donor ‘Thank You’ mailer for the Girls Fund, part of the global ‘Because I am a girl’ campaign. 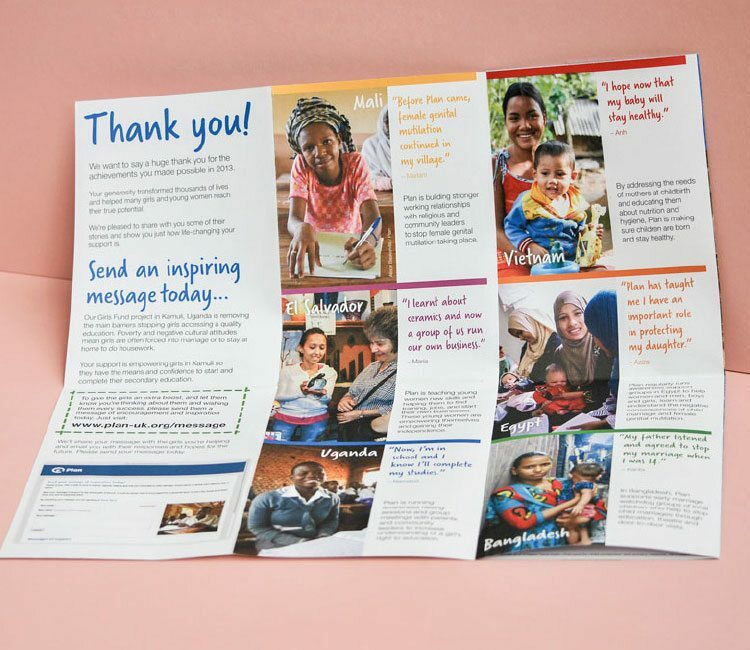 Plan UK wanted to send them a mailer focusing on the successful impact their donations had made in the different regions where Girls projects were being run and to thank supporters for their continued commitment. 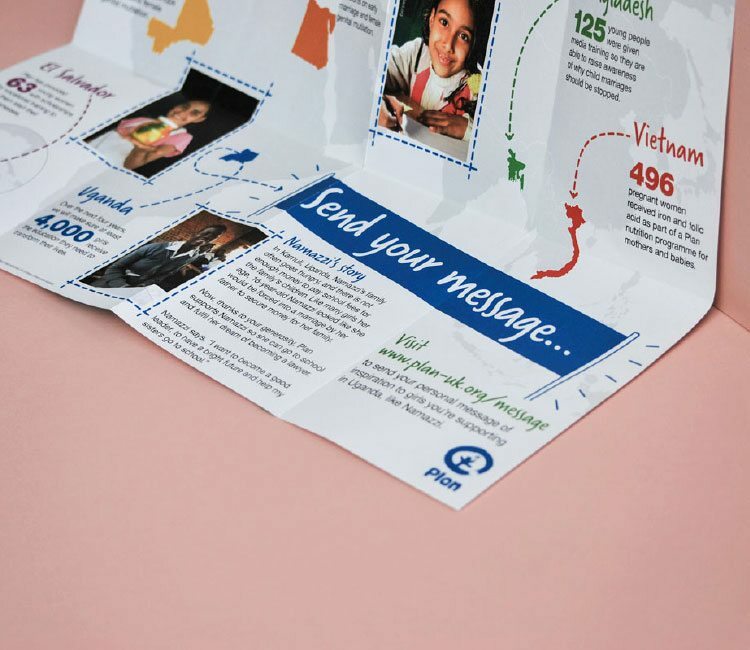 The challenge was how to make the mailer not just another passive thank you print piece, but an engaging and inspiring piece of communication for the audience. The deliberate decision not to include a donation mechanism meant we needed to find different ways to engage with supporters. After spending time understanding our audience and their motivations for supporting the fund, we came up with the concept of a message board to accompany the print piece. The message board allowed supporters to leave encouraging and inspirational notes to the girls in Uganda who in turn would be able to respond to the messages in the same way. 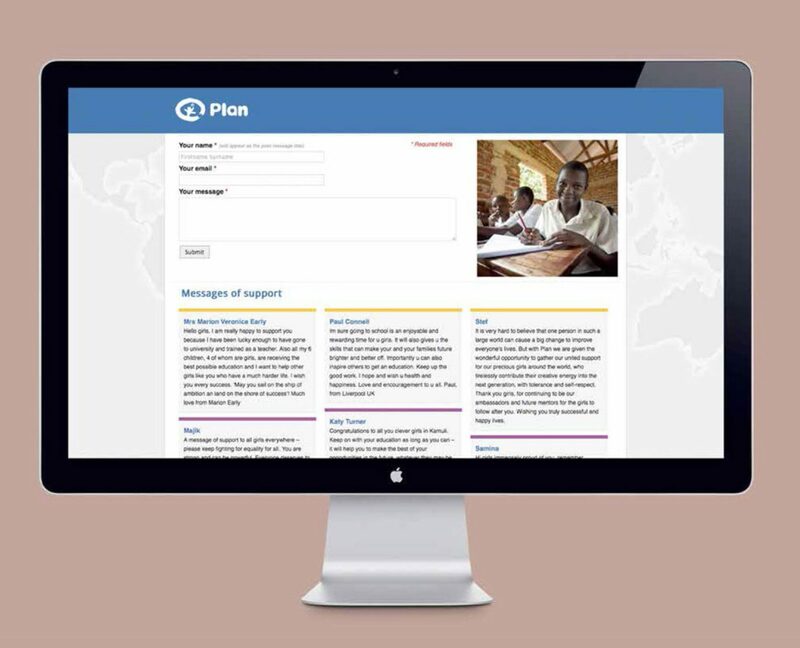 The message board was a great tool in bringing the supporter and beneficiary closer together. It opened up a direct dialogue between the two groups. For the supporter it meant an increased emotional connection to the girls they were helping and for the girls, a way to reach out to the people who supported them. We completely changed the format of the printed piece, using quotes from the girls as headlines and making the call to action more prominent. 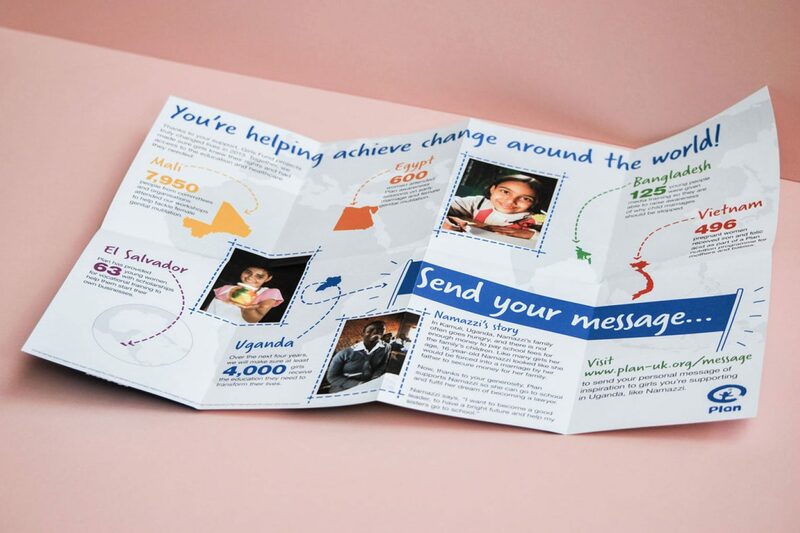 We’re pleased to say that the campaign performed really well and our client hit their target ROI of 3%. The internal feedback has been very positive too. We love it when a Plan comes together!